DB Systemtechnik and the english subsidiary Railway Approvals has been accredited as an assessment Body. (Minden, 22 October 2018) DB Systemtechnik, the inspection and infrastructure engineering contractor for Deutsche Bahn (DB), has now been certified by the German Federal Railway Authority (EBA) as an independent assessment body for safety risks (Assessment Body) for the areas of railway operations and maintenance of rail vehicles (ECM). 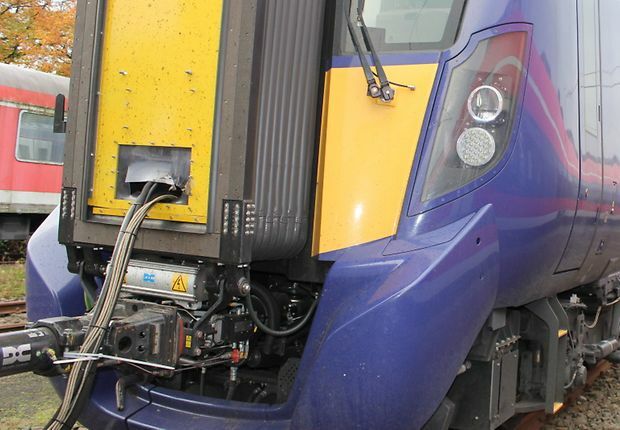 Here, the field of railway operations also includes any necessary risk assessments when technical changes are made to existing vehicles and when new vehicles are approved. From planning test runs and performing risk management to compiling safety assessment reports for manufacturers and operators, DB Systemtechnik covers the entire value chain. Due to the fact that the inspection provider is also a rail company, it is also able to efficiently perform the necessary test runs. As a result, this Deutsche Bahn subsidiary is a full-service provider that is able to assess safety risks for all aspects of railway operations and rail vehicles. "Our status allows us to provide customers with the full assessment value chain from a single source," says Christoph Kirschinger, Managing Director for Sales at DB Systemtechnik. The English subsidiary of DB Systemtechnik, Railway Approvals Limited (RAL), has also been accredited as an assessment body in Great Britain. The company has already been listed in the European Union’s ERADIS database as an Assessment Body.